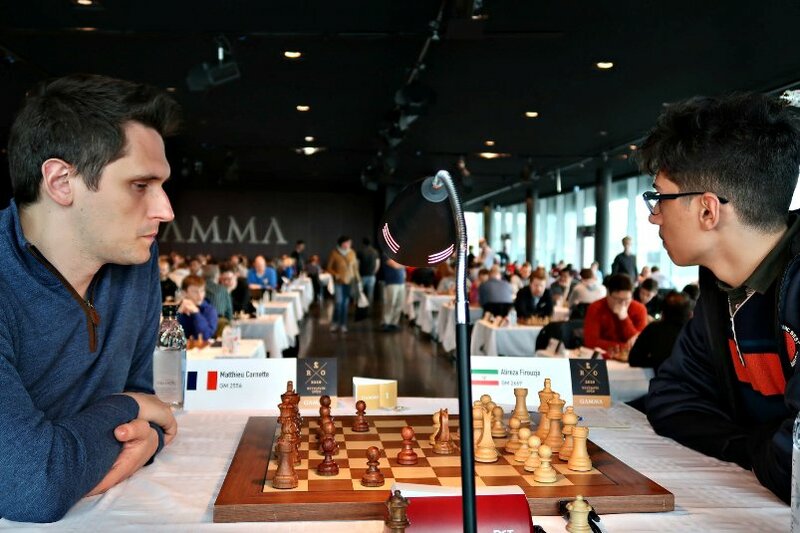 Iranian rising star Alireza Firouzja is threatening to match Wei Yi’s feat of crossing 2700 before his 16th birthday, after reaching 2683.6 with 4.5/5 in the first half of the GAMMA Reykjavik Open. 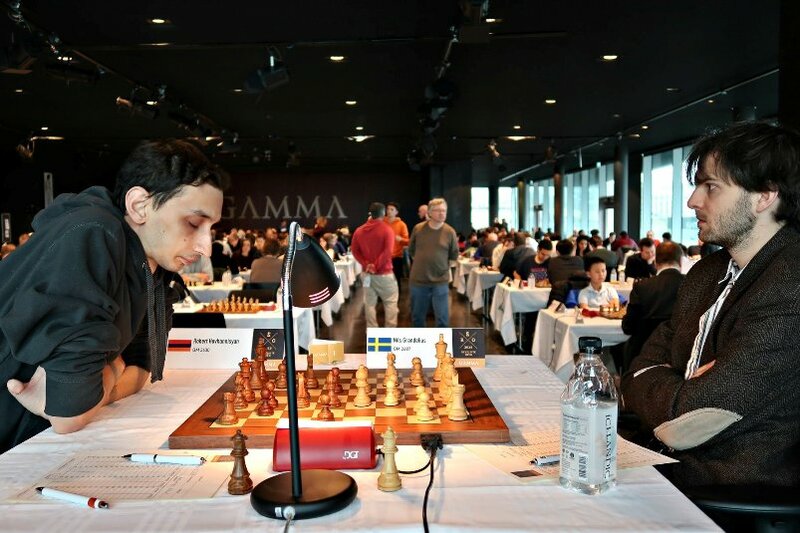 He went into the rest day in joint first place with Armenian Grandmasters Sergei Movsesian and Robert Hovhannisyan, after Robert beat Nils Grandelius in Round 5. Praggnanandhaa, Gukesh, Prithu Gupta and Christopher Yoo are among the other young talents in action in the Icelandic capital. 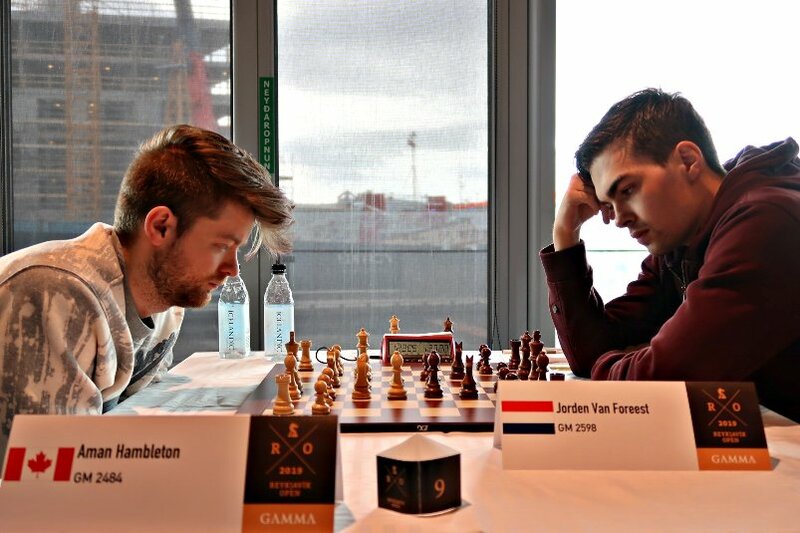 This year’s Reykjavik Open is a little weaker than in previous years, with no 2700 players taking part, though top seed Gawain Jones is just two points shy of that mark and 2nd seed Swedish no. 1 Nils Grandelius needs no introduction. It’s when we come to the 3rd seed, Alireza Firouzja, that the theme of the event is clear – the young generation is rising fast! 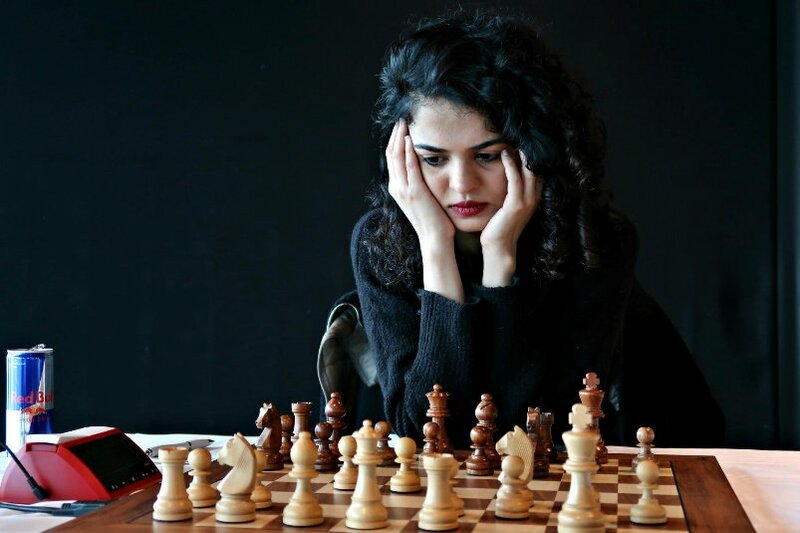 15-year-old Firouzja started 2019 rated 2618, but leapt 39 points to 2657 in March, after managing to cram 28 rated classical games into the space of a month. According to the latest official rating list he’s now rated 2669, exactly level with World Junior Champion Parham Maghsoodloo, but on the live rating list Alireza is already the Iranian no. 1 with a 2683.6 rating that makes him the world no. 55. He can’t quite beat Wei Yi’s record for being the youngest player to cross 2700 (at 15 years, 7 months and 27 days), but he can match Wei Yi and Magnus Carlsen (on the live list) by hitting 2700 before turning 16. His birthday is on June 18th. How to finish things off? 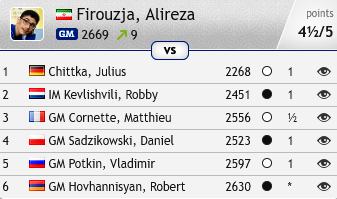 Firouzja picked 21.Rxh7+! Kxh7 22.Qh4+ Kg8 23.Bh6! The only winning move, but it is completely winning! White will exchange the dark-squared bishops, play Qh6 and give mate on g7, and there’s not a lot Black can do about it. It hasn’t only been about Firouzja, however, since for instance in Round 3 he was joined by Indian Grandmasters Praggnanandhaa (13 years old) and Gukesh (12) on the top three boards. 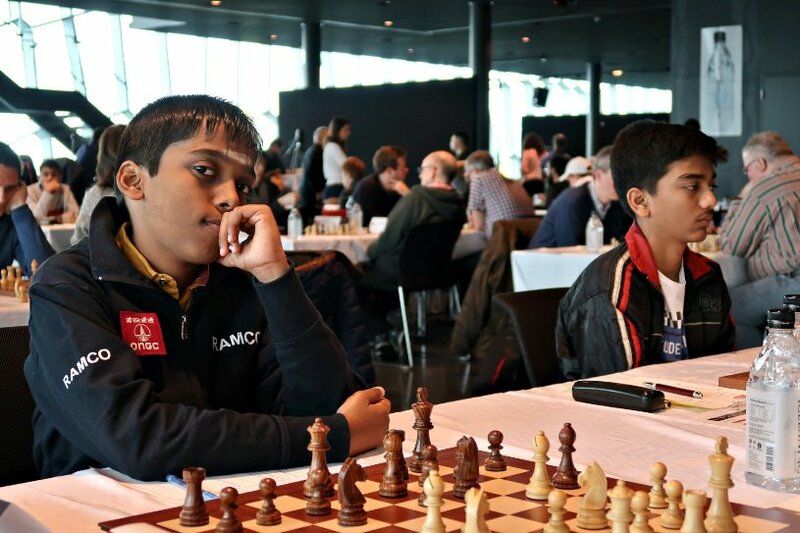 It’s curious that the two Indian prodigies actually played four of the first five rounds sitting next to each other, although Praggnanandhaa scored half a point more with three wins and two draws, while Gukesh lost one game to co-leader Sergei Movsesian. 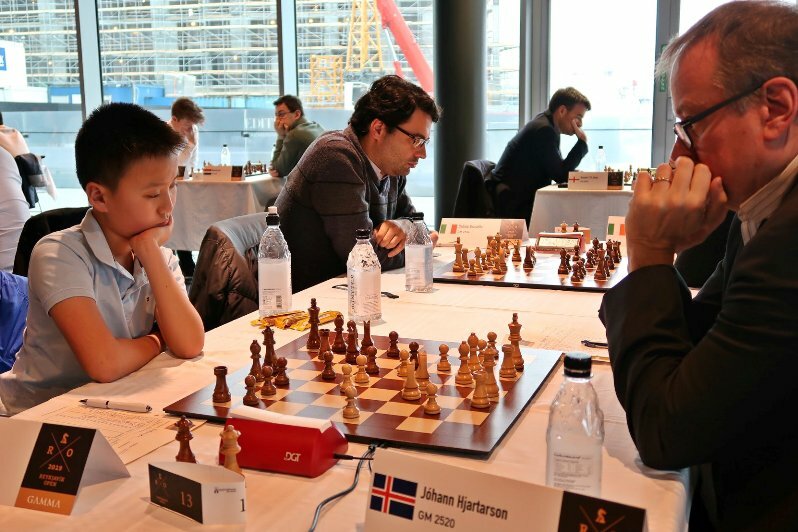 Another young star, 12-year-old American IM Christopher Yoo, has 3.5/5, including an exciting KID draw against veteran Icelandic GM and 6-time national champion Johann Hjartarson. 21.Re6!!? isn’t actually the best move in the position (21.Bxf7+), but it’s not often you get to move a piece from where it’s attacked once to a square where it’s attacked twice, and after 21…c6?! (21…Bf6! and the computer prefers Black) 22.Re1 cxd5 23.Bxf7+ Qxf7 24.Rxe7 Qh5 25.Qb3! Bh3 there was more rook mayhem! 26.Rxg7+! Kxg7 27.Qxb7+ Nd7 28.Qxa8. That wasn’t quite the end of the story, as Black played 28…Ne5!, with some nasty threats of giving mate, but 29.Bh6+! ensured White would go on to win. 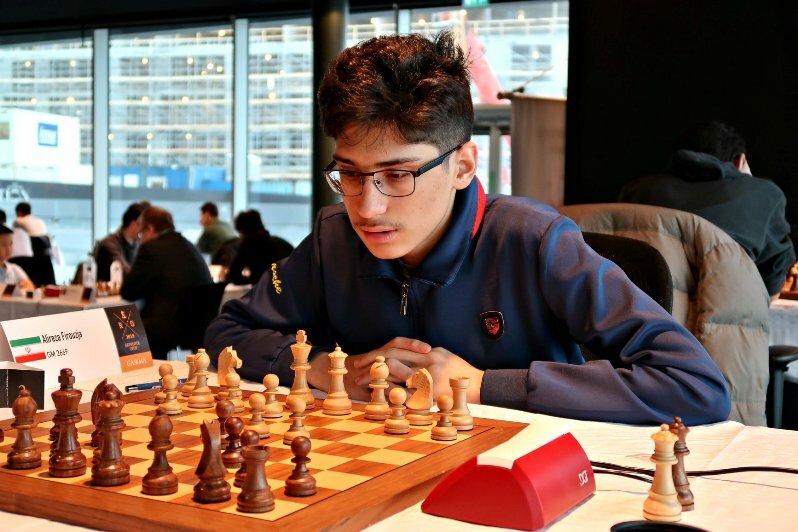 Unfortunately for Prithu, he then lost to Aryan Tari and Nils Grandelius in the next two rounds, but he can still fight for a 3rd and final grandmaster norm. 35…Qxh2+! was a final blow straight from a tactics manual. Andrew resigned rather than allow 36.Kxh2 Rh5+ 37.Rh3 Rxh3+ 38.Kg1 Rh1#, but he then bounced back with three wins and a draw. Another chess streamer, Canadian GM Aman Hambleton, was on the right side of a well-known tactic in Round 2. Can you spot it? Aman then suffered a tough loss against Erwin l’Ami, getting outplayed in a complex endgame that had started in his favour. He’s still gaining rating points for the tournament. 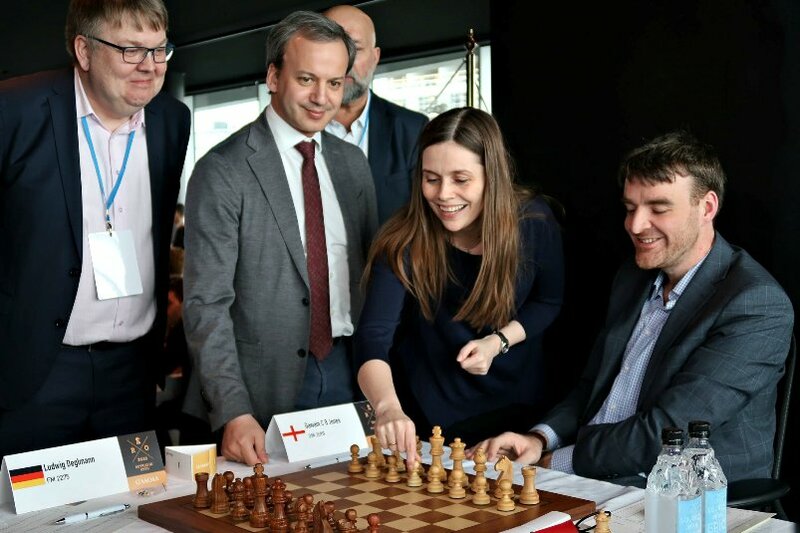 You can follow all the action from Reykjavik here on chess24, including the live commentary provided by Fiona Steil-Antoni and Ingvar Johannesson.